If you ask any Church of England vicar what the least favourite aspect of their job is, there’s a good chance that it won’t be dealing with random people turning up at their door asking for money, or being seen to be on-call for members of their church and parish 24/7. It won’t even be the annual game of paying the diocesan quota. Instead, it will be completing their tax return. Being a CofE vicar means that you are self-employed under employment law, but employed under tax rules. Your house is owned by someone else and is often just as much your workplace as your home. With fees to collect for weddings and funerals alongside travel and various other costs, if you’re not recording everything as you go along, it can get horribly complicated at the end of the year when it’s time to fill in the form. The thing is that working for God doesn’t fit into neat little boxes like most other jobs, and when it comes to dealing with the Inland Revenue and other government departments it’s not always easy to get them to understand just how you work and what you’re trying to achieve. Right now, Youth With A Mission (YWAM) is having a rather big and immediate issue along these lines with the UK Visas & Immigration office (UKVI). Since 1960, YWAM’s stated purpose is ‘To know God and to make Him known’. They do this through sending out missionaries to countries around the world. Some will focus on evangelism and others on working to help meet the practical and physical needs of the global community through its many relief and development initiatives. CBBC currently has an uplifting episode of My Life on iPlayer featuring Iona, who lives with her family on one of YWAM’s Mercy Ships which acts as a floating hospital travelling around Africa. YWAM has over 18,000 full-time volunteers in more than 180 countries. Here in the UK it has around 700 people in its workforce, with over half of that number on a sponsored visa. And this is where the problem lies. In September, following procedures introduced by the UK Government to reduce immigration numbers, YWAM England and Wales were inspected by the UK Visas & Immigration office to review their status as a visa sponsor. The inspection concluded they were compliant in five of the seven areas audited, and found some clerical issues in the remaining two. 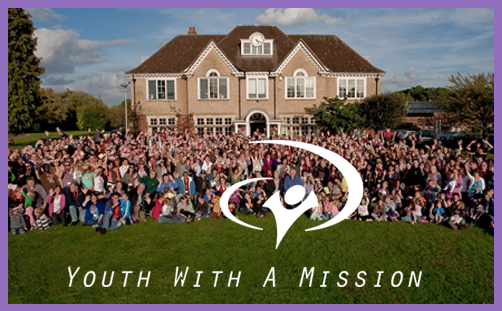 Consequently the UKVI office warned that YWAM faced the possibility of being downgraded, with their licence revoked entirely. Despite being told there would be a decision within four weeks, it was only on the 23rd of December that YWAM was notified that their licence had been suspended for 20 working days. They now have until 20th January to make a response to what have largely turned out to be fresh issues not raised in the initial inspection. If unsuccessful, the UKVI will indeed revoke their licence. If this course of action proceeds, over 350 self-funded YWAM volunteers and their families will have 60 days to leave the UK, which will inevitably cause large parts of the organisation to shut down. YWAM are not some clueless bunch of amateurs. According to Mark Vening, a missionary at YWAM’s Wrexham office, they have operated for 44 years “hand in glove” with the UK Government. Six years ago, YWAM and other Christian groups worked with government on a special provision which allowed religious nonprofits to issue two-year visas, rather than the standard one-year nonprofit visa. “It was a complete surprise to us because we have always followed the advice given to us by the UKVI. We are hopeful we can convince them to reinstate our licence,” he said. Immigration is a thorny and complex issue that, as we all know, is dominating the headlines. It is important that those who abuse the system are caught and dealt with accordingly, but this is not abuse. Worryingly, it would appear that in the Government’s desire to drive down immigration, Christian organisations are proving to be a soft target. In 2014, the UKVI revoked the licences of Wycliffe Bible Translators and Nations Trust, which trains Christian missionary candidates. These are organisations that are transparent and willing to comply with the law but have faced draconian punishments because their activities don’t fit precise and set definitions. Whether there is any deliberate intention or not, the effect of the UKVI’s actions is to significantly hinder the missionary work of these Christian organisations. Levels of tolerance towards those who promote their own faith and evangelise may be ever diminishing in our society, but to be expected to share your beliefs is a key component of the missionary faiths. When this is suppressed, religious freedom is diminshed. I welcome the Government shining a light in every corner on this subject and holding all kinds of businesses and organisations to account in a way that hasn’t happened before which led to abuse of the system, in this case however I fear we may go too far. The YWAM missionaries provide an invaluable service to Wrexham. Before they arrive they face rigorous checks, they must be able to pay their own way, they are not here to claim benefits and they work; for free. They volunteer as Street Pastors, they staff food banks, they work with youth groups and the elderly. They are the Big Society in action. They are one of the very good sides of immigration and I would urge you all to help them. If our immigration system sees no value in those who choose to come to our country entirely at their own expense, with a great deal to offer for the benefit of others, then it is a broken system. If it is unable to differentiate between religious motivations that aim to cause tension and harm and those that look to give and bless, penalising them equally, then it is all the more disastrous. YWAM have asked their supporters to raise the situation with their MPs. It is not too late, but time is rapidly running out.